This great big bunch cost me £0.37 at the greengrocer’s. Put your chopped chillies into a bowl and cover them with boiling water for 10 minutes. Place your sliced ginger on the bottom of your pickling jar. Strain the chillies and then pop them on top of the ginger in the pickling jar. In a bowl/jug, mix the vinegar, salt and sugar. Pour this over your chillies. You may need to top this up with more vinegar if the amount doesn’t quite cover the top of the chillies. 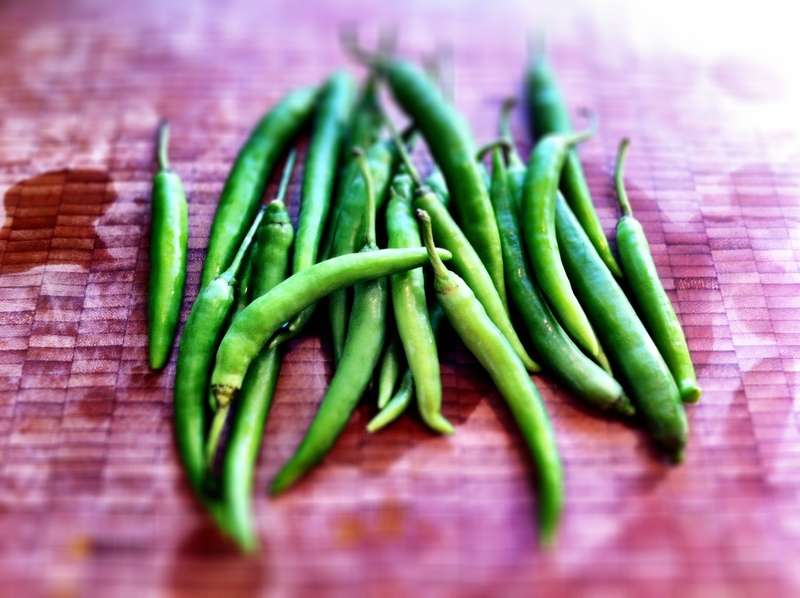 Leave the chillies overnight in the fridge and they’ll be ready for eating the next day. They will lose the vibrant green colour but that’s normal. They keep for ages in the fridge.